Completing the story from the last issue, we pick up right where we left off. The turtles have to team up with Shredder, but luckily for us Shredder reverts to type and we get a nice battle between the three parties. It’s a simple story wit the possibility of revisiting it, or some of the outcomes at a later date! 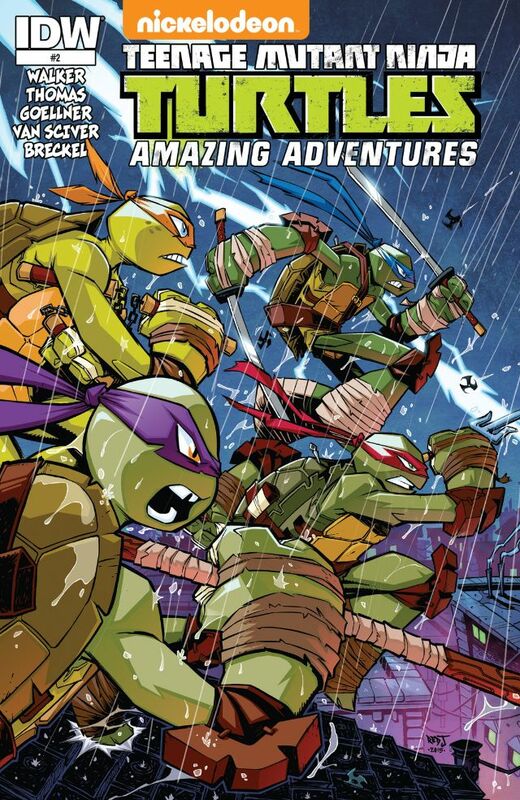 In the backup we get a fun Mikey story with his own imagination – making his own comic book!